What’s stopping us? For some people, even the words ‘walking holiday’ are a bit off putting, with images of army-style yomping for hours at a time across windy moors carrying 60kg backpacks. But dismiss those, because the great thing about a vacation like this is that you can set the pace – and actually, it’s a good opportunity to declutter the usual things you’d bring with you. Plus you can choose the accommodation you stay in – anything from a life under canvas to a posh lodge with all mod cons. There’s nothing like soaking in a deep, hot bath at the end of a day’s hiking. At some super luxurious spots you can even have a massage. Why not? You’re on holiday! For me, a walking break is all about contemplation, perhaps even making a mental future to-do list as I go. It’s a chance to escape the hustle and bustle of everyday life. It’s a great way of seeing a country from ground level at a pace that reminds you there’s more to life than posting on social media or checking Facebook every five minutes. It’s a way of connecting with nature, hopefully spotting some wildlife. It’s a time for chat with fellow travellers and reading that book you meant to settle down with last year but never did. It’s a chance to not look at your watch. 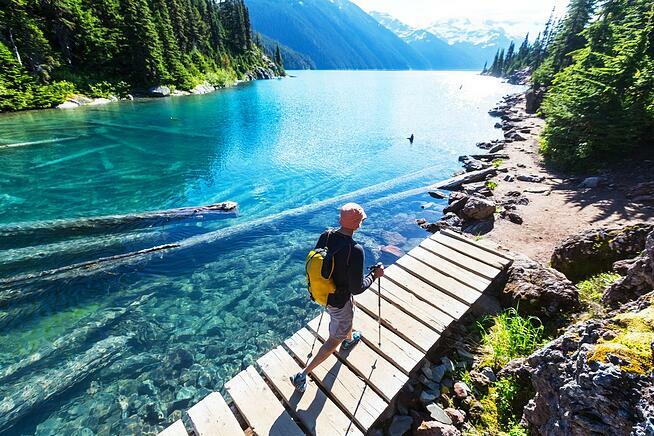 Both Canada and the USA have some of the most amazing hikes on the planet. And you don’t have to stroll far once you’re there, or even escape the urban jungle if you don’t want to. Did you know, for example, that just by walking two and a half miles down the National Mall in Washington DC, from the Capitol Building to the new National Museum of African American History and Culture and onwards to the Lincoln Memorial you’re actually in a National Park? Do it from mid-March to mid-April and you’ll have a good chance of being in the American capital for the spectacular blooming of the three thousand plus Cherry Blossoms, which started over a century ago when some trees were gifted to the city from the mayor of Tokyo. 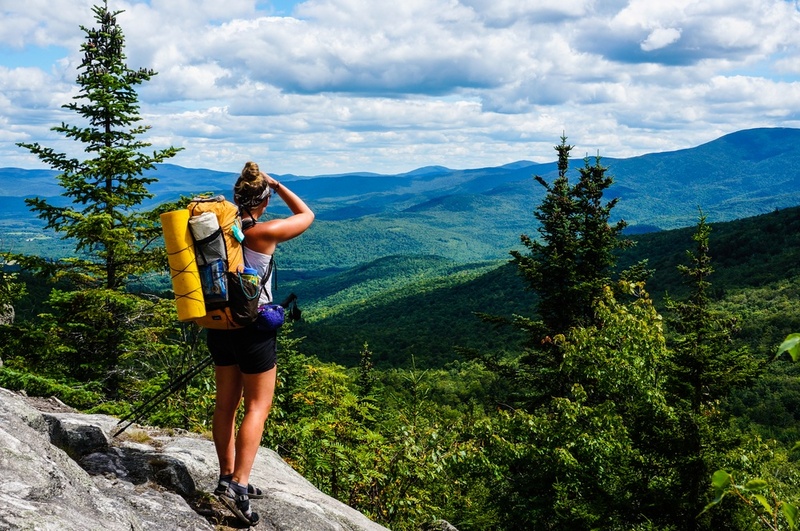 At the other end of the scale, though, are majorly iconic hikes such as the 2,200-mile long Appalachian Trail, which cuts through 14 states and stretches from Maine to Georgia. While there’s an elite club for those who’ve made it from start to finish, there’s nothing to stop you doing a more manageable, bite-sized chunk, in New England perhaps. 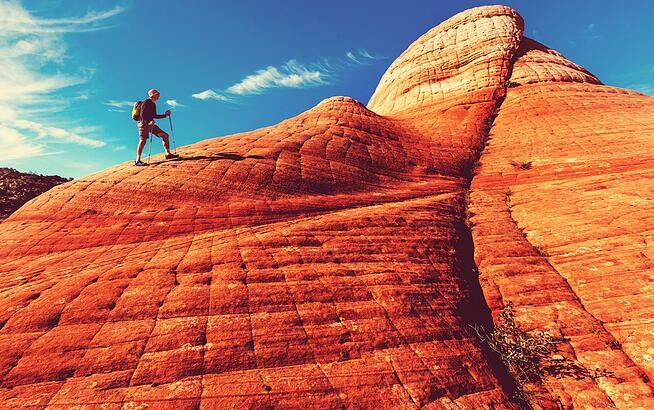 Further west of course you have the well-known trails down into the Grand Canyon and the national parks of Utah such as Bryce Canyon and Zion; both of the latter a hop, skip and a van ride away from the bright lights of Las Vegas, if you really want a holiday that mixes things up. 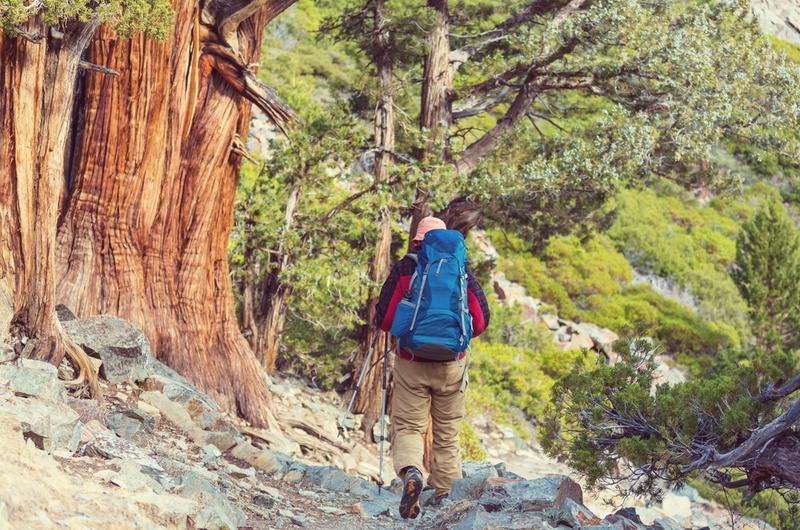 But then if you think outside the usual boxes, there are plenty of great hikes that you’ve probably never heard of – through the the Tetons in Wyoming or Big Bend in Texas, for example. And that’s before you’ve even thought of the almost-impossibly picturesque outdoorsy states of Colorado, Alaska and Hawaii, or British Columbia, Alberta and Nova Scotia in Canada. So have a chat with a travel consultant at Grand American Adventures, many of whom have done these walks themselves. They’re happy to give advice and share their adventures so you can start to plan yours.